Debby Goldsberry is a leader 25 years strong in the medical cannabis industry and marijuana policy reform. She co-founded the Berkeley Patients Group (BPG) medical cannabis collective in 1999, setting the gold standard for best practices and community involvement. Directing its growth over 11 years, averaging 70 employees and up to 1,000 customer visits per day, Ms. Goldsberry developed and implemented standard operating procedures for procurement, product safety, patient relations, and business management and operations that have been replicated by dispensaries around the nation. As a community leader, Debby co-founded and directed Americans for Safe Access (ASA), the Medical Cannabis Safety Council (MCSC), and Cannabis Action Network (CAN). 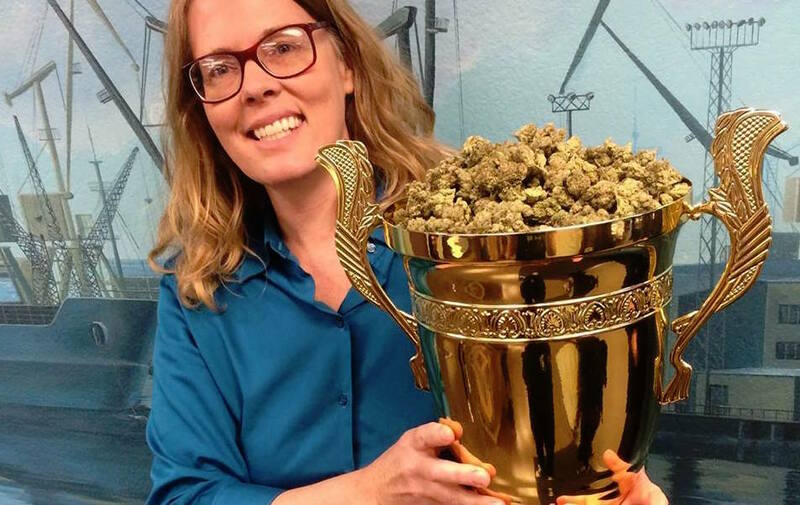 She is a board member at California NORML, is a former board member of the Marijuana Policy Project, and teaches Procurement and Patient Relations (Budtending) for Oaksterdam University. She has proven experience in business and human resources management, public and government relations, as well as product development and marketing. Ms. Goldsberry is currently the Ambassador at Magnolia Wellness in Oakland, CA and at Bloom Well in Bend, OR, two model medical cannabis dispensaries. Debby assists workers through the collective bargaining process and joins the CCPR board on behalf of United Food & Commercial Workers’ Union in the Medical Cannabis and Hemp Division.